This year is no different. But the growth in internet shopping – accounting for over 10% of total UK sales last year – has kept minds firmly focused on securing card present and not present payments, as well as those increasingly carried out over mobile – tablet or smartphone – devices. Mark Reeves, senior vice president of international sales for authentication and fraud detection technology vendor Entrust, commented that, as we begin to see new threats emerging with the increasing number of people adopting mobile payments systems, keeping pace with them will mean deploying more sophisticated technology. Risk modelling can maximise the value of security investments, according to Jason Trigg, chief executive of security IT provider The Cardinal Group. “To get the most from loss prevention systems, businesses must also be able to understand the data that their technology systems provide, and convert that raw data into information. By doing so they will ultimately improve their return on investment and reduce losses,” he said. He said merchants need to consider fraud management processes to protect against being targeted: “The administration of managing fraud chargebacks is a resource-heavy task and, when the transaction is for a very low amount, a disproportionate amount of time and effort is wasted. This can often lead to the merchant just swallowing the cost of the chargeback as opposed to disputing it because the time and effort of this process outweighs the cost. 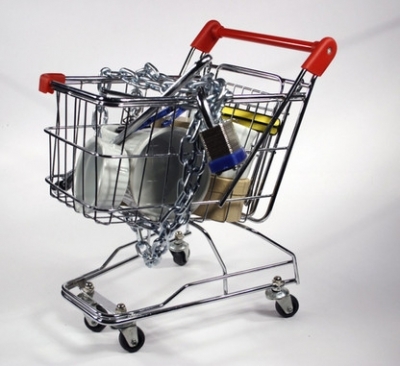 The recent Global Retail Theft Barometer showed that shoplifting, fraud and administrative errors cost British retailers £4.9 billion in the 12 months to June 2011 – highlighting the financial impact that shrinkage has on stores. Neil Matthews, vice president in Northern, Central and Eastern Europe of the Barometer’s sponsor Checkpoint Systems, commented: “By integrating innovative security solutions into traditional systems, including 3-Alarm technology, shrinkage will undoubtedly be reduced.